This post is actually one of my “Going Through My Stash” posts, where I’ve been looking through the swaps I got at a February Stamp Camp on the island of O’ahu. That was so much fun, and most of the projects featured Stampin’ Up! products from their Annual Catalog or from the 2019 Occasions Catalog. 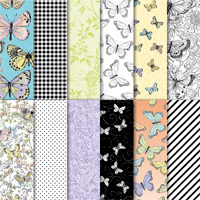 But today’s card features one of my favorite sets of Designer Series Paper, and today is the last day to get the set. 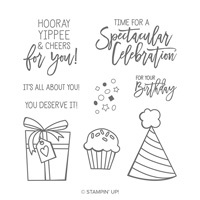 You don’t even have to buy it as it’s FREE with a $50 Stampin’ Up! Purchase – through March 31st. That’s today! The reason this is one of my favorite cards also has to do with the fabulous fun fold that’s hidden on the inside of the card. Not only are there 8 separate folds in this card, each of the 6 panels is decorated separately. And those little butterflies are all over the place! I wish I could do up a quick and simple layout sketch for this card as I did for my last card. But there’s just too much in terms of steps to take with this one to ensure that your folds are clean and crisp. But I’ll be working on it! Meanwhile, here’s some more info about what the designer used to make this particular card. 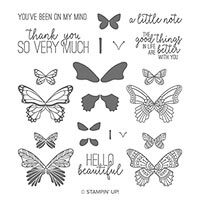 The main product is the Botanical Butterfly Designer Series Paper which is a FREE with $50 Purchase product in this year’s Sale-a-Bration Brochure. I’m posting this on Sunday, March 31st, which is the last day of Sale-a-bration! This is your last opportunity to get this paper. What makes this paper so special? 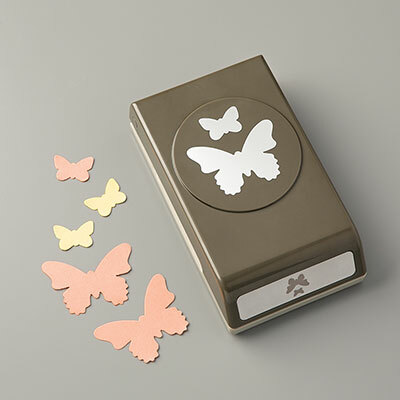 You can punch out the printed butterflies on several of the sheets of this paper using the Butterfly Duet Punch. This punch was on back order for a while, but it’s back in stock and it’s a beauty! Last day of Sale-a-Bration! Looking at the items shown below, if you order the first 3, then you can get the 4th one FOR FREE!